Participating in the Palenque march were communities such as Nuevo Tila, Lacanjá Tseltal, Limonar, Chamizal, Francisco León, Arroyo Granizo, Ojo de Agua, Chamizal, Nuevo Jericó and national and international human rights observers. More than 500 people came together to denounce impunity in the country. Ten years ago, on 13 November 2006, at approximately 6 o’clock in the morning, a group of about 40 civilians heavily armed and dressed in military- and Public Security-type uniforms violently entered the community of Viejo Velasco. Coming from the communities of Nueva Palestina, Frontera Corozal and Lacanjá Chansayab, they are members of the so called “Lacandona Community”. These 40 armed civilians were accompanied by 300 agents from the Chiapas State Public Security forces, who were armed with high powered weapons that are for the exclusive use of the army and known as “goat’s horns” (AK-47) and R-15. They were also accompanied by 5 Prosecutors from the Public Prosecutor’s Office, 2 specialist detectives, the Commander of the State Investigation Agency Jungle Zone along with 7 subordinates and a representative from the Secretariat of Social Development. Displaced people’s testimony agrees that the coordination of this brutal aggression was led by Engineer Rafael Armando Arellanes (then Sub-secretary of Political Action for the Chiapas state government) and Professor Gabriel Montoya Oceguera (who was serving as a government delegate for the Lacandon Jungle). All of these hostile parties encircled the community, where later they looted the houses and committed 4 extra judicial executions, 1 illegal detention along with torture, 4 people were forcibly disappeared, and the forced displacement of 20 men, 8 women, 5 boys, 3 girls who had to escape to the mountains to survive the attack. The goal of this massacre was to plant seeds of terror in the families living in the community of Viejo Velasco, Ocosingo municipality. The aggressors wanted these families to abandon their land, and they framed it as a regional agrarian conflict in the Lacandon Jungle. And this is also how state policy using the ecological pretext to “guarantee the conservation of the Montes Azules Biosphere Nature Reserve” has been transformed into an intense process of territorial dispossession. More than 30 indigenous villages – Tseltal, Tsotsil, Chol and Tojolabal communities – have suffered forced relocations and violent evictions. At the beginning of 2006, negotiations with this small village Viejo Velasco broke down, owing to the fact that the residents would not accept forced relocation. On the 28 of March 2006, the Secretary of Agrarian Reform announced its decision about this unjust agrarian process, and the beneficiaries were only the people belonging to the so-called Lacandon Community (whose members are Maya Caribe and Tseltal people from Nueva Palestina and Chol people from Frontera Corozal). The government then began a process of forced relocations and threats of violent eviction in all of the Lacandon Jungle. In the area of Valley of Santo Domingo and La Cojolita, the repression was concentrated in four villages: Viejo Velasco, Flor de Cacao, Ojo de Agua Tsotsil and San Jacinto Lacanjá. According to a denouncement before the International Tribunal of Conscience of the Peoples in Movement the state is responsible both in action and neglect. – action, for ordering and carrying out on 13 November 2006, an operation in the community, as indeed the government itself confirms in response to an application for information by the Inter-American Commission on Human Rights. This operation was provoked by the failure to resolve in a just manner, and one following international law the situation recognising and regularising the community lands of Viejo Velasco and the “Zona del Desempeño”. – omission, further, despite all the calls sent to the Federal and State government bodies by the Xi’nich Committee for the Defence of Indigenous Freedom, “Maderas del Pueblo”, and the Fray Bartolomé de las Casas Human Rights Centre among other organisations about the risk of violent aggression in the area, the State neglected to respond and never intervened to prevent this violence and resolve a situation which every day grew more tense. In addition to all this, after these horrendous events, the official investigations have proven to be insufficient and ineffective. There was a long, unexplained delay in sharing the findings of the analysis of the skeletal remains found 6 July 2007, as well as obstacles planted by the intervention of independent specialists. Ten years after the cruel massacre in the community of Viejo Velasco in Ocosingo municipality, Chiapas, we are making this pilgrimage with pain and outrage in memory of our brothers and sisters who were murdered at dawn on the 13th of November 2006. This massacre was perpetrated by 40 civilian sub-comuneros from Nueva Palestina and from the Lacandon community. They were accompanied by a group of 300 agents from the Chiapas State Sectoral Police, five Prosecutors from the Public Prosecutor’s Office, two specialist detectives, the Commander of the State Investigation Agency Jungle Zone along with 7 subordinates and a representative from the Secretariat of Social Development. They carried high calibre weapons. The outcome of this injustice was the death of: Antonio Mayor Benito Pérez, Filemón Benítez Pérez and María Núñez Gonzáles and four people missing: Miguel Moreno Montejo, Antonio Peñate López, Mariano Pérez Guzmán and Pedro Núñez Gonzáles. All are indigenous Ch’ol and Tseltal community members who lived in Viejo Velasco. Owing to these violent events, one day after the attack, health promoter Diego Arcos Meneses, and other good-hearted residents from the community of Nuevo Tila, which is located an hour away, came to help the victims. They cleaned the wounds of the injured; fed people with beans and fruit from the countryside. They brought clothing to cover the children and adults. During this, the community was overcome by surprise by the State Police who unjustly detained our brother Diego Arcos Meneses. Arcos Meneses was in jail for a year accused of homicide, and arrest warrants were issued for Juan Peñate, Antonio Álvarez, Domingo Álvaro and Alejandro Álvaro, all from Nuevo Tila community. Eight months after the massacre, in June 2007, skeletal remains along with a rope and clothing were found covered in overgrowth on the road from Viejo Velasco to Paraíso. The Public Prosecutor’s office took charge of recovering the remains. Without respect or compassion they collected the bones, treating them like animal bones. The two remains were put in a single blanket and taken away, then they denied us the right to know the truth for four years. As a first attempt, we pushed our petition to the Public Prosecutor that they give us the studies of the skeletal remains that they had found. They only thing they told us was that the disappeared from Viejo Velasco massacre had gone to the United States to work. On top of that, they give us bones with bits of fresh flesh on them, which did not match what we had found in June 2007. For us, this was a complete mockery, and what the Public Prosecutor has done is not respectful. Denying these families their legitimate right to the truth is abuse on the part of the Public Prosecutor. Faced with the neglect and inability of the three levels of government: Federal, State and Municipal, in 2011 the communities, families and victims succeeded, with the support of the Argentine Forensic Anthropology Team, in having the studies from the remains found in the massacre zone identified as Pedro Núñez Gonzáles and Miguel Moreno Montejo. We gave them a Christian burial in November 2012. The other two brothers remain missing until now. Ever since the first days after the massacre, we have gone to the Inter-American Commission on Human Rights (IACHR) to request precautionary measures to ensure that the Mexican State look for our disappeared brothers and protect all those affected in the attack. From that time until now, in all of 10 years, we have not had any result. In 2010 the IACHR raised the precautionary measures to a formal complaint against the Mexican government, who now must respond about their responsibility. The clarification of the massacre which took place in the community Viejo Velasco, in Ocosingo municipality, Chiapas. Investigation and punishment of the intellectual and material authors of this crime, among them Professor Gabriel Montoya Oceguera (who was serving as a government delegate for the Lacandon Jungle), Engineer Rafael Armando Arellanes (then Sub-secretary of Political Action for the Chiapas state government), the 2006 Special Commissioner of Agrarian Reform Marta Cecilia Díaz Gordillo and the sub-comuneros of the communities Nueva Palestina and Lacandona. We place the blame for the 2006 massacre in Viejo Velasco on the three levels of government. We ask that national and international civil society remain informed about the case before the Inter-American Commission on Human Rights. We invite all Mexicans to open your eyes to the terror and crime which comes from the three levels of government. We call on the National Indigenous Congress to keep informed about what happened, and to echo our struggle for memory and truth. Coordinating team of social organisations CDLI- Xinich’, Tsoblej Yu’un Jwocoltic, UCISECH and Misión Santísima Trinidad. On April 3, the inhabitants of the Tsotsil communities of Los Llanos and San Jose El Porvenir in the municipality of San Cristobal de Las Casas, made known in a statement that on January 18 of this year they were granted legal protection against the San Cristobal-Palenque highway project. In the sentence for legal protection 16/2014, the judge orders the cancellation of the outlines of the construction project or any other programme for the highway on the stretch between the municipalities of San Cristobal-Huixtan, in particular on the lands of the communities, by the Secretariat of Communications and Transport and the Secretariat of Infrastructure of the State of Chiapas. 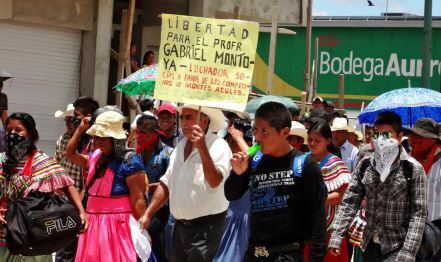 In the statement, the ejido demanded that, “the authorities should respect our community’s right to free consultation, previous and informed, through its representatives and traditional authorities, providing information in good faith, including the possible environmental and health risks resulting from the construction of operation of the highway project.” They also underlined that their “land is not for sale, now or in the future, and we completely reject the San Cristobal-Palenque highway project because it dispossesses the indigenous communities of the most sacred thing in this life which is land.” It should be mentioned that since its beginning, many communities and those possibly affected expressed their concern about the construction of the highway, whose cost would be around ten billion pesos and would reduce the journey from San Cristobal to Palenque, two of the zones most visited by overseas and domestic tourists, from five to less than two hours. During the month of May, much attention was focused on Chiapas because of the La Realidad paramilitary attack in which Compañero Galeano was brutally murdered, as well as the subsequent homage to Galeano, the disappearance of Marcos as the EZLN’s spokesperson and his reappearance as Subcomandante Insurgente Galeano. There was, however, another big story in Chiapas that took place in May. Thousands of indigenous and campesinos blocked key highways, usually filled with double decker tourist buses and giant Coca Cola trucks, shut down all government offices and hung “CLOSED” signs on the doors of big national chain stores… and, no, they weren’t Zapatistas. They were members of ARIC-ID  and the Lacandón Community Zone (LCZ). In April, a report appeared about an agreement between the Lacandón Community and the ARIC-ID to legalize three of ARIC-ID’s communities situated inside the Montes Azules: San Gregorio, Ranchería Corozal and San Salvador Allende. Two other related events took place at the end of April: a Tzeltal was elected president of the Communal Wealth of the LCZ; and, a biologist, Julia Carabias, working in the Lacandón Jungle and inside the Montes Azules, reported her own two-day kidnapping by masked men she could not identify. 3. The release of Gabriel Montoya Oseguera. The roadblocks and closures lasted about a week before state officials invited the two organizations to appear in Tuxtla Gutiérrez, the state capital, for dialogue. When representatives of ARIC-ID and the LCZ arrived at the Government Palace for “dialogue,” 22 were arrested and placed in the El Amate State Prison. To no one’s surprise, they were released the next evening after the organizations agreed to “suspend” the roadblocks and mobilizations that were paralyzing Ocosingo. A table for dialogue will also take place in Mexico City with Montoya Oseguera’s defence team, as well as a discussion table where organizations from the LCZ will have the opportunity to fully express their frustrations with what’s taking place inside the zone. That should be an interesting discussion. According to statements issued to local Chiapas media from both ARIC-ID and the LCZ, they believe that the alleged kidnapping of Julia Carabias is a simulation; in other words, they don’t think it actually happened. They believe that it is connected to the opposition of the group of “environmentalists” around Carabias to the election of a Tzeltal president, rather than a more docile Lacandón, to the LCZ’s governing body, which is called the Communal Wealth (Bienes Comunales). They assert that there was a disturbance during the election, when an outside group erupted into their assembly, and they blame the environmental interests. When it created the Lacandón Community Zone, the government offered the Chols and Tzeltals settled within the Zone a choice of relocating to certain towns within what it called the “Lacandón Community.” The Tzeltals were offered land in Nueva Palestina and the Choles in Frontera Corozal. Some accepted and some didn’t. However, the Chols and Tzeltals that relocated to those two communities did not have the same rights as the Lacandóns. The government granted them the right to the land as members of the Communal Wealth of the Lacandón Community (the legal governing body), but in order to maintain control in only one group -the most docile, the Lacandóns- it was established in the communal statutes that the president of Communal Wealth would ALWAYS be a representative of the 66 Lacandón families. As time passed, population growth resulted in the following imbalance: a 2010 census indicates that 40% of the comuneros are Chols, another 40% are Tzeltals, and only 20% belong to the 66 Lacandón families and their descendants. Consequently, for approximately the last 10 years, in the assemblies of the Lacandón Community Zone, these two groups have been demanding more land and want to make decisions inside the assembly. The Chiapas government has not accepted the result of the recent election of a Tzeltal president to guide the LCZ, its interests apparently linked to various groupings and interests lumped into the term “environmentalists.” According to documents published in the Chiapas press, the environmentalists include: the Natura Mexicana, the NGO founded by Julia Carabias, the Ford Foundation, the Mesoamerican Biological Corridor and the state and federal governments, which, as ARIC-ID points out, receive some of their funding from US-AID. The majority report from the LCZ is in agreement. There is dissent from some members of the traditional Lacandón families that live in Nahá, Metzabok and Lacanjá Chansayab. According to the report from Angeles Mariscal in Chiapas Paralelo, it is only members of those 66 Lacandón families that have benefitted from the money paid to them from funds controlled by the environmentalists. The blockage of Ocosingo highways and shut down of government offices for days became a huge story in Chiapas. The highways that were intermittently blocked brought all travel in eastern Chiapas to a frustrating crawl. Some of the actors in this drama (both the Lacandóns and the residents of Nueva Palestina) have played the role of villains vis a vis the Zapatista and other indigenous communities in the Jungle. Nonetheless, it would appear that they are entering a new stage, and assuming it is sincere, the position of wanting the “environmentalist” NGOs to vacate the bio-prospecting stations would probably be welcomed by the Zapatista communities. And, finally, among the roads blocked were those giving access to La Garrucha and San Manuel. Therefore, we’ll follow the story and see how it unfolds. 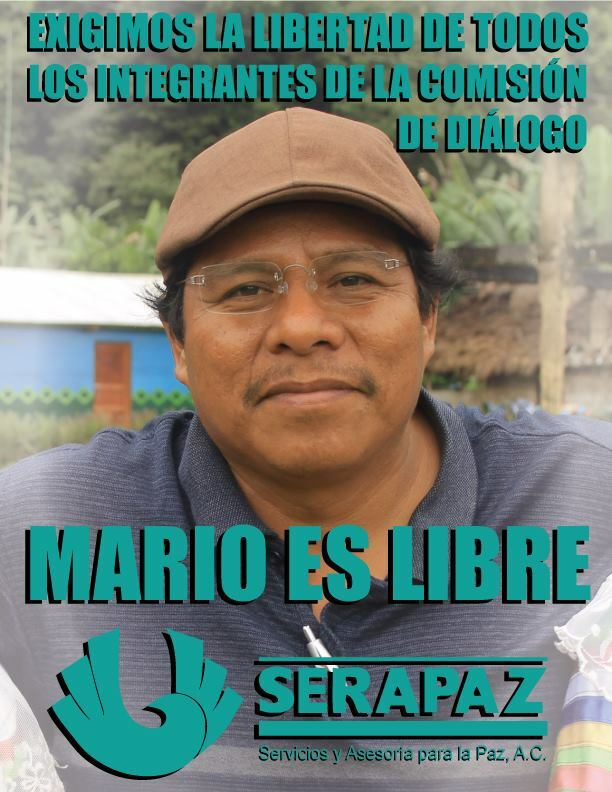 The Xi’Nich organization, made up of indigenous communities in the northern Lacandón Jungle of Chiapas, distanced itself from the protests of the Jungle’s different organizations because of the agrarian conflict in the Lacandón Community Zone (CZL, its initials in Spanish) and the incarceration of the CZL advisor, Gabriel Montoya Oceguera, who Xi’Nich considers the intellectual author of the Viejo Velasco Massacre in 2006, while placing responsibility for the material execution of that violent attack, which left eight dead and two disappeared, on the Lacandón comuneros and the sub-comuneros of Nueva Palestina. Eight years ago –Xi’Nich adds to its interlocutors of the Diocese– “you condemned the massacre; it surprises us, it angers us that you ask with shouts for the liberation of Montoya Oceguera, principal orchestrator of the Viejo Velasco Massacre, as well as the liberation of the comuneros of Nueva Palestina incarcerated for violent acts” like the 2006 massacre and “kidnappings” like that of Julia Carabias this year. 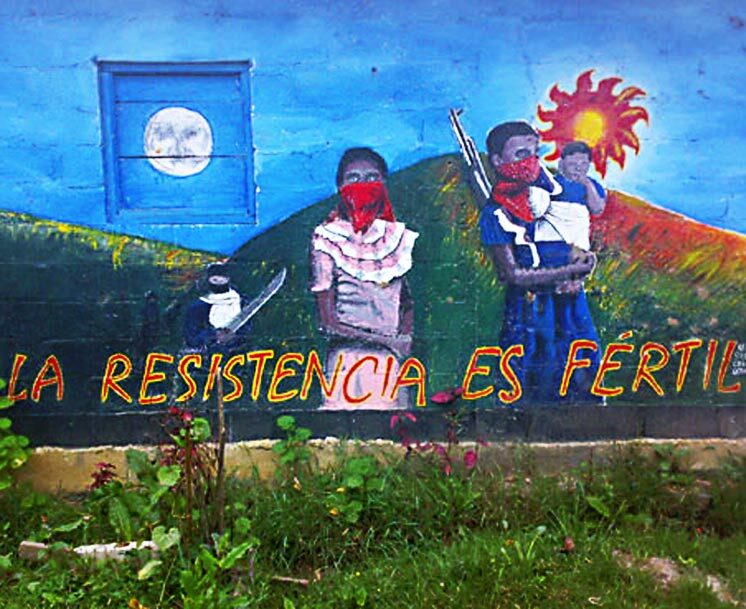 The organization expresses support for the three communities threatened with relocation and is in solidarity with the Zapatistas, condemning the death of professor Galeano in La Realidad one month ago. We share their word, and thank you for disseminating it. San Cristóbal de las Casas, 27th May, 2014. 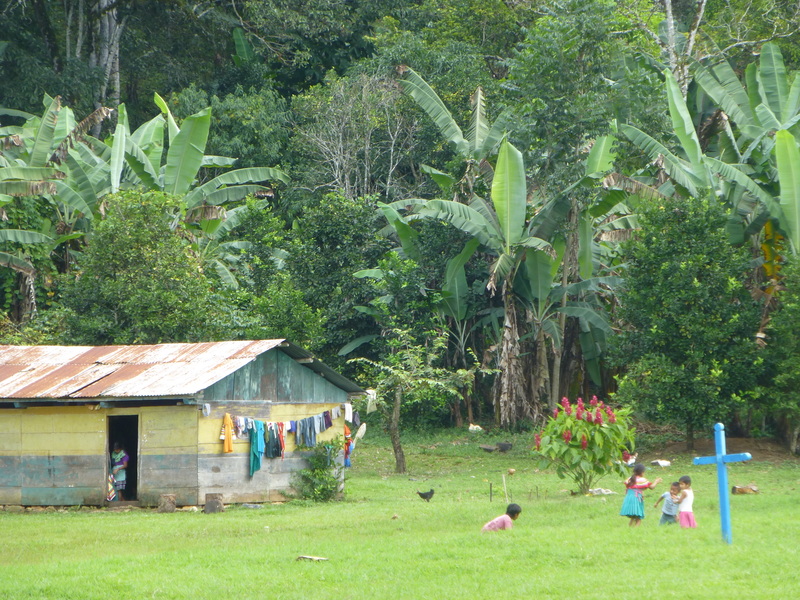 In 1972 a decision by the presidency, in a legally-questionable manner, handed 614,000 hectares of Chiapanecan jungle to 66 Lacandon families, without taking into account hundreds of families from other indigenous communities and groups that also inhabited this territory and whom, from that point on, were in constant risk of being displaced from their land. Six years later, when this territory became part of the Montes Azules Ecological Reserve, the pressure against the registration of these excluded peoples’ land titles increased, and their relocation or forced displacement has been the government’s response to the problem. In April 2014, an agreement between the Lacandon Zone Community and the ARIC Independent and Democratic Union of Unions was ratified, in which the land rights of three established populations in the region was recognised. This agreement was the fruit of a process of dialogue between the parties directly involved, and was made without the participation of the government (due to a “lack of will” on its part to resolve the conflict, representatives of ARIC affirmed in a press conference on the 1st of May). Since the 28th of April of this year, various events have escalated the climate of violence, tension and conflict concerning the delimitation of the so-called “Lacandon Divide” and the Montes Azules Reserve. It is important to recognise that the indigenous communities and peoples that inhabit this region have been constructing a variety of projects and initiatives, some for over 30 years, with the aim of achieving legitimate recognition of their struggle, land rights, and rights to autonomy. 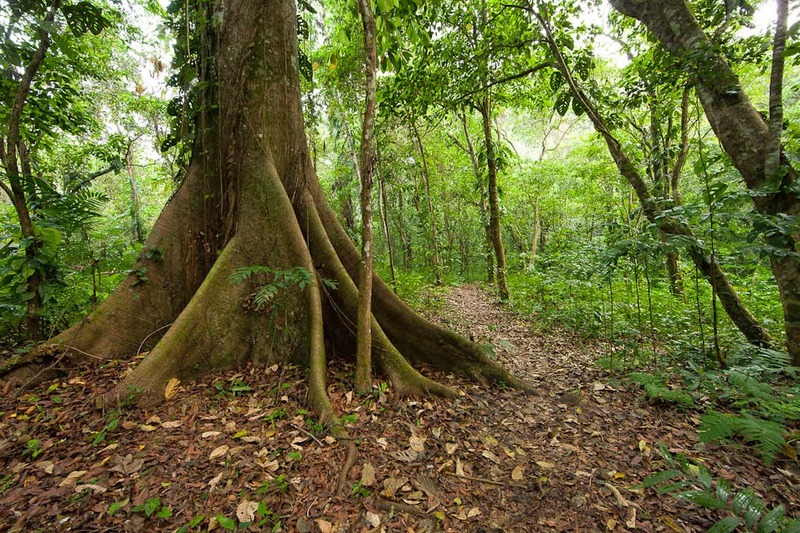 Nonetheless, these projects appear to be affected and threatened by the presence of private financial interests, by environmentalists whose presence is alien to the communities involved, and by a climate of confusion, impunity and violence suffered in the original and principal base of the still-unresolved armed conflict. 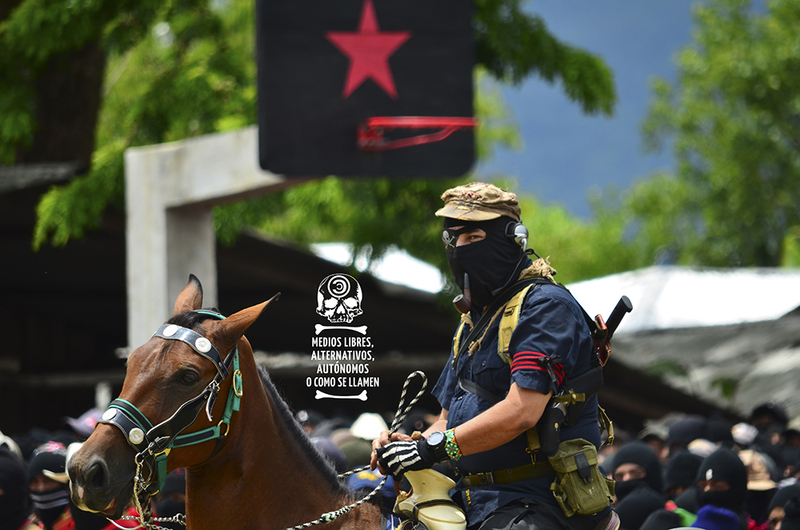 The murder of José Luis Solis López, a Zapatista support base, on the 2nd of May of this year, in the Good Government Council of La Realidad, has especially concerned us. Running in parallel with this act, we recognise other occurrences which, collectively, amount to a climate of tension and complex conflict in this setting. On the 29th of April, 2014, in the community of San Javier, in the Municipality of Ocosingo, the Assembly of Communal Goods of the Lacandon Zone was suspended when a group of people violently interrupted the meeting. During the last days of the same month, news of the kidnapping of Julia Carabias, ex-environment secretary, academic and founding member of the NGO Nature and Mexican Ecosystems AC dedicated to the conservation of natural resources, reached the press; she was accused by members of the Lacandon community and by other sectors of civil society of being responsible for fomenting division between their members and of introducing projects oriented towards the privatization of the Zone. In this strained environment, the detention was ordered of Fernando Gabriel Montoya Oseguera, the adviser of the Lacandon Zone Community, whom the state attorney indicated to be the intellectual author of the kidnapping of Julia Carabias and later remanded as “probably guilty of the crime of attacks against the peace and against the corporal and asset integrity of the public and the State”, a trap into which he had fallen on assuming the mayorship of Altamirano in January 2001. This is considered by many to be a means of contention and criminalization of the process by which the Lacandon community seeks to make decisions concerning the territory which was given to them decades prior. It would be worthwhile to mention at this point that organizations of the Network for Peace participated in the Civil Observation and Solidarity Mission that was carried out from the 29th of April to the 4th of May 2012, which aimed to build knowledge of the situation of the inhabitants of San Gregorio, Salvador Allende, and Ranchería Corozal, communities that form part of the Independent and Democratic ARIC A.C., with whom the Lacandon Community sustained and strengthened the agreement to which we refer above, in which these three communities, and the legitimacy of their claims to ownership of the land they have inhabited for more than 30 years, are recognised. This agreement was made known in a press conference on the 1st of May, 2014, in San Cristóbal de las Casas, Chiapas, as well as years prior, in the facilities of the Miguel Agustín ProDH Human Rights Centre, in Mexico City, on the 3rd of August 2011. For our organizations, it is important to recognise that these three communities reached this agreement with the Lacandon Zone Community (CZL) through dialogue, the same route by which they have peacefully requested since 2010, faced with various petitions and inter-institutional discussions with federal and state governments, as well as with government environmental institutions, that the necessary proceedings for the legal recognition of their claims to land be initiated. Nonetheless, we confirm that various interests have impeded, going back many years, this process, generating a climate of insecurity and escalation of conflict. It worries us that, in response to the public dissatisfaction displayed at this time by the CZL and the Independent Democratic ARIC, the governmental response should use strategies that violate the rights of these peoples, such as the forced displacement of families and communities carried out between 2003 and 2012, and the detention of local authorities and leaders of this movement. Finally, with great concern, we want to note that at this juncture, on the 14th of May, the Second Phase of the Southern Frontier Operation began in five municipalities of the state of Chiapas that are located in the conflict zone, in which elements of the National Defence Secretary, the Mexican Navy, PGR, PF, INM and the state and municipal police. 1. We support processes and mechanisms that respect the human rights of the actors involved in these conflicts – in particular, the collective rights of the indigenous peoples – as well as using all of those peaceful initiatives that promote the dignity of the territories, peoples, and individuals. We reject the privatization of indigenous territories, of their natural resources, and the intervention of external actors (state or non-state) that interrupt and break the processes of dialogue and construction of agreements amongst peoples, communities and organizations. 2. We reject the policies and strategies of militarization and of criminalization of social protest in the states of the southern border of Mexico, and in particular in zones of conflict, which harm indigenous communities, particularly women and children. 3. 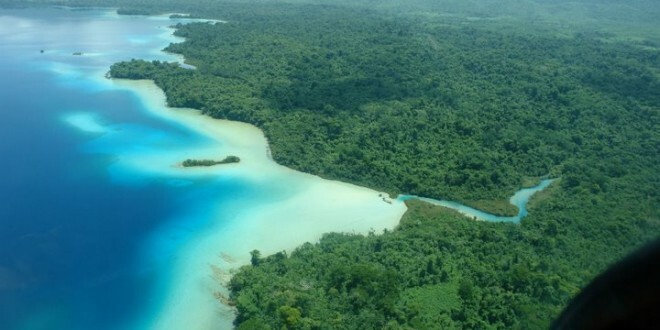 We declare ourselves in favour of inclusive processes in the management, conservation and administration of the Montes Azules Ecological Reserve, and of the other six federal Protected Natural Areas in the Lacandon region, whose preservation is fundamental for the wellbeing, the present and future life of humanity, of our country and of the indigenous communities that inhabit them. For this reason, these communities must be thoroughly involved in the diagnosis, territorial distribution, management strategies, and the design and implementation of holistic strategies for the sustainability of the living community. 4. Finally, we want to express our solidarity with the Zapatista peoples and, in particular, send an embrace to the Good Government Council located in La Realidad; and we join in the tribute to the Maestro Galeano. In this way, we salute the arrival of a new era.